The Kaptovator is one of the most advanced ultra-high resolution power cables available. 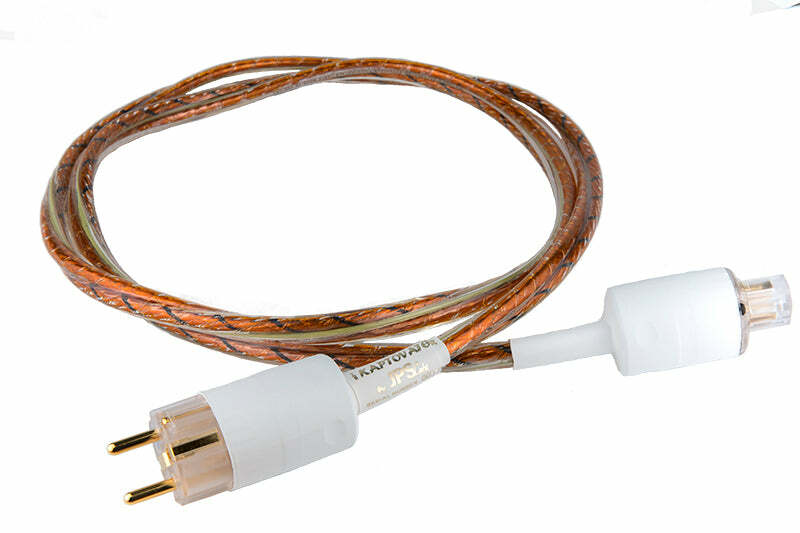 No other cord in the world utilizes such forward thinking designs incorporating high-tech materials combined with the many subtle details and refinements that years of experience in making the world's finest long-term reference cables can bring to your system. The Kaptovator starts with a special alloy blend, ultra-fine purity 8 gauge/8.35 mm2 conductor, easily the largest conductor of any high-end AC cable. This is no ordinary run-of-the-mill conductor, and its response optimized, concentric lay coupled with a very tightly twisted design makes for a very compact and flexible wire that acts as a solid, as one large coherent conductor for power, greatly improving low frequency definition and allowing a clean natural sound with amazingly well defined bass, yet never sterile nor bright. Where the Kaptovator sets itself apart is with its unique insulation material, which can greatly determine how well a cord will perform and its final sonic character. 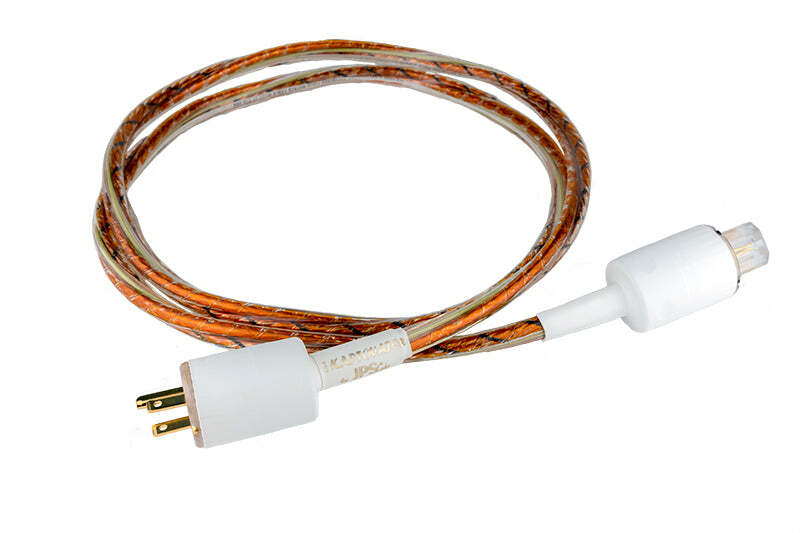 JPS Labs found Kapton® to be an amazingly great insulator for our finest AC cord, and a very expensive one. Kapton is a very high-tech dielectric used mainly in space and military applications where performance means everything and cost is no object. Unlike all other ac cords, the Kaptovator will not absorb low level detail nor blur information within a thick mass of low grade insulation. Both audio and video components will greatly benefit from the resulting dramatic increase in detail retrieval. The Kaptovator is better at supplying power to low power components on up to the largest of amplifiers than any other cord made except for our own absolute finest Aluminata AC, making it a highly universal mate for just about any component capable of greater resolution at it's output, including tube and digital components. Low frequency bass definition will improve dramatically with an incredible rolling of bass drum most systems cannot reproduce (for a visual on available bass information the microphone will pick up, click here to see a video), and bass guitar and piano strings will resonate with a full set of overtones intact. Mid and high frequency air and resolution will be at their peak of perfection. Vocals will sound so very real, full and rich, with no hint of brightness or forwardness, in proper perspective. All instruments will be well focused and well rounded while keeping their original harmonic structure intact, just as if they are all right there with you in the room. It becomes increasingly important with an AC cord such as this that the rest of your systems' cables and AC cords are truthful to the source, not tayloring the sound. If you are already using JPS cables, life will be good. We guarantee this to be one of the finest power cables money can buy. Please take the time to audition the Kaptovator Power Cord in your system- to hear the possibilities. The Kaptovator and all JPS Labs AC products and accessories are safely designed for worldwide use with plug styles including gold plated European style SCHUKO, 24 karat gold plate UK style plug, and very high quality equipment plugs including standard and 20 amp Wattgate IEC, or Neutrik Powercon, to fit any wall outlet and any equipment accepting a detachable cord. Kaptovator is a trademark of JPS Labs LLC- Kapton is a registered trademark of DuPont Corp.